Are you ready for new GTX 1180 news? Aren’t we all… and you can potentially find out more right here tonight. 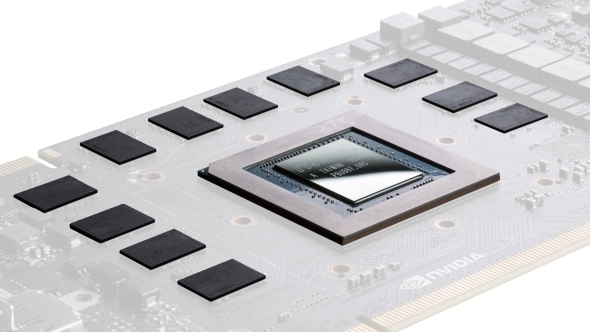 It’s pretty doubtful we’ll get anything on fresh new GeForce graphics cards, but there is the very slightest chance that tonight Jen-Hsun might throw us a silicon bone. The big Computex tech show kicks off next week, but before that we’ve got Nvidia’s GPU Technology Conference keynote from the Taiwanese version of Nvidia’s graphics roadshow this evening. Check out our pick of the best graphics cards to buy right now. 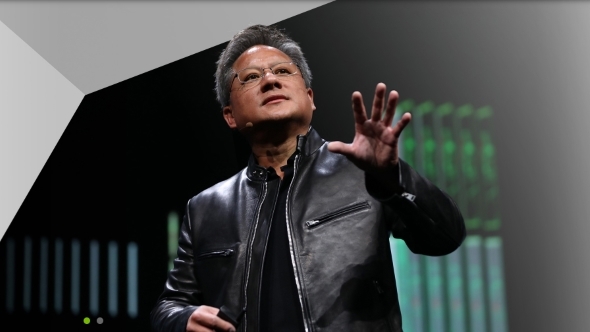 That’s going to be our first pick from GTC bingo, then I expect we’ll have some more Volta-powered data-centre stuff, AI shenanigans, and some explanations about how all the HBM2 and Tensor Cores make the GV100 Tesla and Quadro cards so damned powerful. There might even be a few more hockey and golf-playing robots, and self-driving cars too. But what about a new GTX 1180 graphics card announcement? Well, to be honest I doubt very much there’ll be anything fresh or official coming out from the GTC Taiwan keynote about new GeForce graphics cards. We’ve heard from Nvidia that the Computex show at the start of next month will be mostly focused on enterprise and automotive stuff, and so it would be odd for anything GeForce-related to appear the week beforehand. But still, Jen-Hsun might want to surprise the world and let slip something new Volta-ish, Ampere-ish, or Turing-ish at tonight’s show. And you can watch live right here! There have been rumours that the new GTX 1180 cards will be launching in July, with silicon getting shipped to manufacturers on June 15th. Which isn’t too far away now, but with nothing even vaguely concrete to go on we’re still betting on an August / September release window being more realistic.